Armagard Unveils New Waterproof Touch Screen Computer Enclosure. 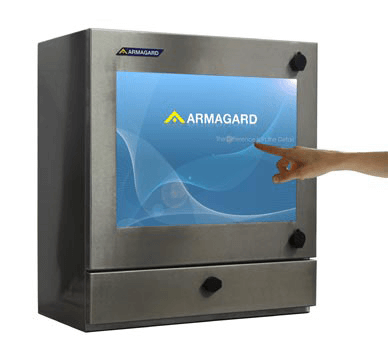 International designer and manufacturer of environmental enclosures for LCD/LED displays, industrial computers and printers, Armagard has added the SENC-550 to its touch screen enclosure range. The SENC-550 computer enclosure with integrated 24” resistive touch screen is ideal for hygienic food manufacturing and processing environments, offering an improved PC workstation solution for shop floor computing, which boosts employee workflow and washdown efficiency. 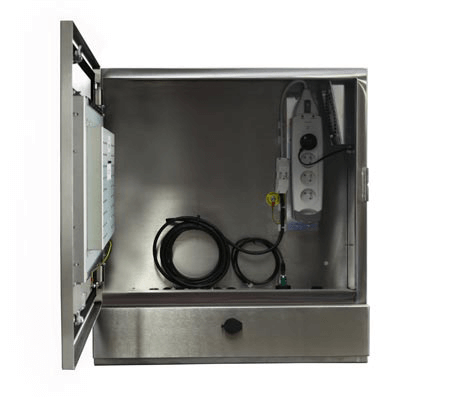 Manufactured in the UK, the SENC-550 is a 316 food-grade stainless steel enclosure, which is inherently antibacterial and corrosion resistant. Sealed to IP65 industry standards, the enclosure is fully waterproof and can be jet washed. It protects against the penetration of dust, dirt and debris to prevent the unit from becoming a contaminant in hygienic facilities. The washdown touch screen enclosure can be wall, stand or worktop mounted to create the most efficient workstation for staff. Plus, you can customise the SENC-550 to include a keyboard shelf, lockable keyboard drawer or an IP65 integrated keyboard with touch pad. Additionally, the enclosure enables you to use your existing, small form factor PCs and swap out or upgrade your hardware at your convenience. 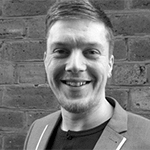 You’re not locked into maintenance contracts and you don’t need specialist engineers to upgrade hardware. The 24” resistive touch screen, included as standard, provides a large viewing display for enhanced visibility. Plus, you can operate the touch screen with gloves, making it easier to use computer applications on your manufacturing floor. The SENC-550 is robust, preventing damage from physical impacts, while two key operated locks stop unauthorised access and tampering, maintaining security and protecting computer data. The enclosure is versatile and enables the installation of computer stations in unconventional locations to boost workplace productivity and efficiency. The SENC-550 Waterproof Touch Screen Enclosure Comes With a Five-Year Warranty. The enclosure comes with a five-year warranty for added peace of mind, but you can expect the SENC-550 to last up to a decade. The enclosure can protect several generations of PC over many years, representing great value for money and an excellent return on investment. For more information about the SENC-550 waterproof touch screen computer, contact Armagard on 0121 608 7226 or request a call back by completing our online contact form.